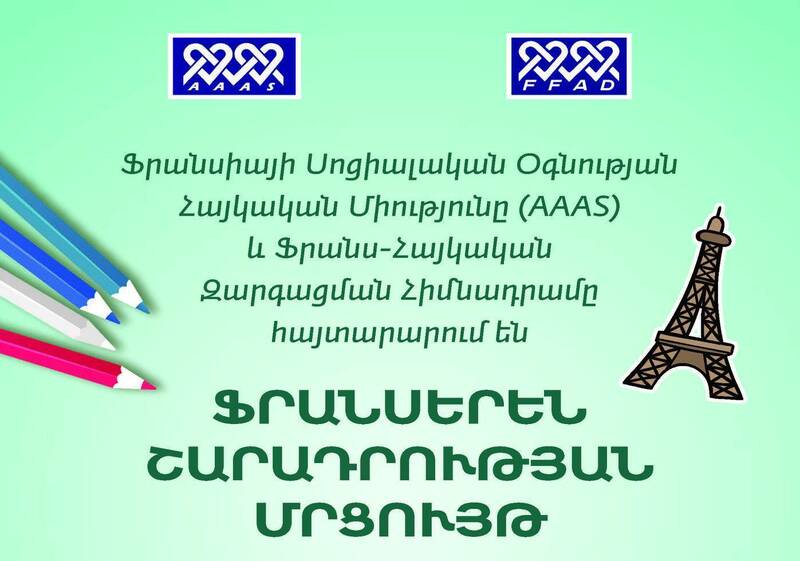 Association Arménienne d’Aide Sociale and the French Armenian Development Foundation announce a French essay contest among 8-12 grade schoolchildren of public schools studying French. Do you wish to participate? Hurry up to register at your school list up to March 6, 2018. The contest will take place on March 13, 2018.